Secure VPN (Remote Access and Site-to-Site) with in-built Two-factor Auth, audit reporting, Role Based Access Control (with NAC), hybrid cloud support and more. CipherGraph VPN enables security & compliance for your AWS setup in an easy to use platform. Allow only authorized users in your VPC. 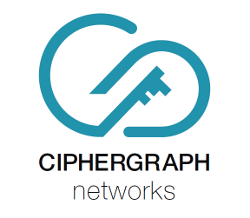 CipherGraph Cloud VPN is a Secure Access Gateway VM for cloud and hybrid deployments. Using this product allows organizations to let only authorized users connect to your apps and data while making it completely inaccessible to others. Several advanced security features like Role Based Access Control, Two-Factor Auth (completely in-built), audit reporting and support for a distributed deployment and hybrid clouds (CGN Peering technology for exceptionally simple connectivity across VPCs and Datacenters), make this an ideal solution for your AWS deployment. Use our VPN to allow employees to access your cloud setup and control whichs apps and services they can access based on their corporate identities (Identity Focused Decurity). Direct integration into Active Directory and LDAP make this product easy to roll out across your userbase. You can also have several simultaneous options for authentication to allow access to partners and customers, again subject to the security rules you specify based on identity or role. You can also create and manage VPN users / groups within a bundled directory server (Cloud Auth). This product secures your Amazon VPC deployment against security threats from internet like zero day vulnerabilities, MITM, XSS etc. safeguarding you against data loss and data theft. CAG enables Enterprise Class encryption and Role Based Access Control for your entire AWS Deployment and becomes unified communication gateway for deployments in cloud and hybrid environments.